Don't text. Don't call. Just drive. FACT: Texting takes your eyes off the road for an average of five seconds. At 55 mph, that is enough time to drive the length of a football field - blindfolded. Texting, talking, using a map - basically anything other than driving - is dangerous because it takes your attention away from the road. 25 percent of all accidents involve drivers who use a cell phone - accidents can result in serious, lifelong injuries and death. It is time to put the phone down and Just Drive. The fines for talking or texting on a handheld device have increased, with a potential maximum fine of $600 and a 90 day driver's license suspension. Watch Just Drive in Action! Turn your phone off or put the ringer on silent to avoid the urge to answer. Put your phone in a secure location that is easy to reach in case of emergency. Never dial while driving - move to a safe area off of the road. Prior to driving, set up your voicemail to take messages. The fines for talking or texting on a handheld device have increased. $600 minimum plus possible 90-day suspension of driver's license and three (3) motor vehicle penalty points. Although it is discouraged, drivers may use a hands-free device if it does not interfere with standard safety equipment. "Use" of a wireless phone and any other handheld communication device IS PROHIBITED, AND INCLUDES talking or listening to another person, texting or sending and receiving electronic messages. A handheld phone may be used for an emergency only and the driver must keep one hand on the wheel at all times. We have all seen and experienced other drivers doing unusual and unsafe things -- from texting and eating, to shaving and reading maps. We want to hear your true story from the road! Click here/below to share. Text messaging makes a crash 23X more likely. lucky no one got hurt! Your post has been submitted for approval. 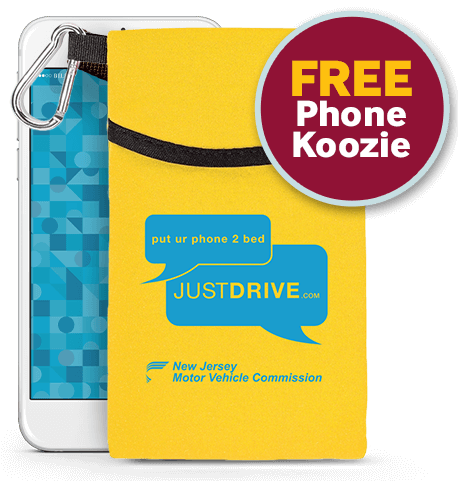 NJMVC will email you a link to share your post with family and friends for their chance to take home a piece of Just Drive swag! We have detected that you are using a mobile device. If you are driving we ask that you return to this website when you complete your trip. 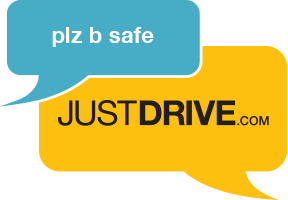 If you are not driving please click the button below to continue. 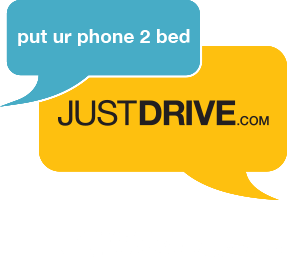 You are about to leave this website to visit http://njmvc.gov.